Cosmic Mickey Mouse Totem is all about heart. Invite Cosmic Mickey into your consciousness when you need to open your heart. 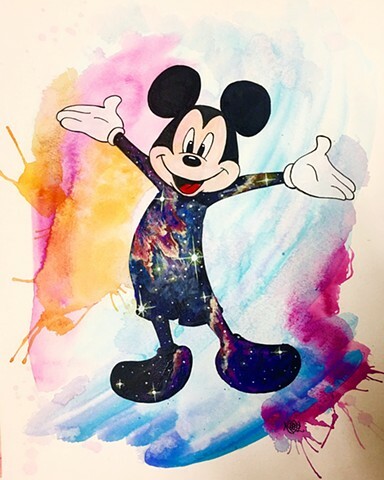 Unfailingly positive, always sees the best in everyone and everything, and is an unfaltering friend, Cosmic Mickey is your guide to bringing out the best in you. The original is sold and there are no prints available. If you want a similar Cosmic Mickey Totem original drawing for only $100, please message me!